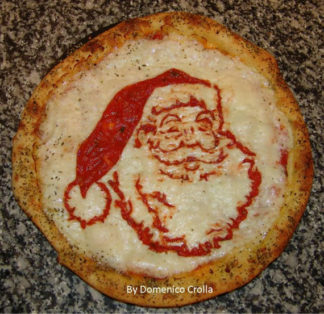 Domenico Crolla. 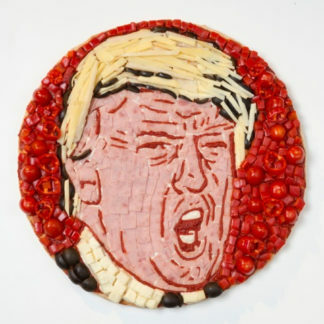 Born in Glasgow, Scotland of an Italian father who ran a cafe there, is a 45 year old restaurateur who has literally turned pizza making into an art form. 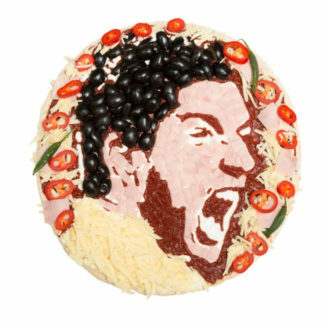 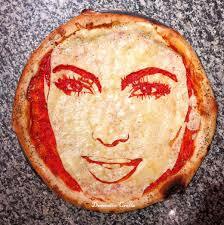 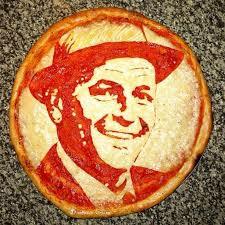 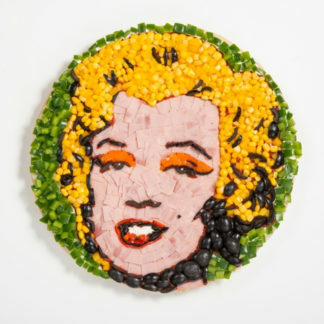 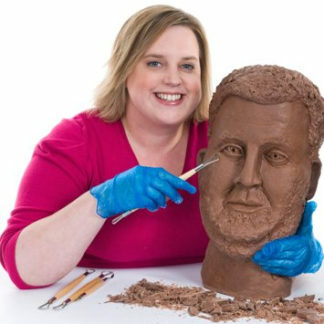 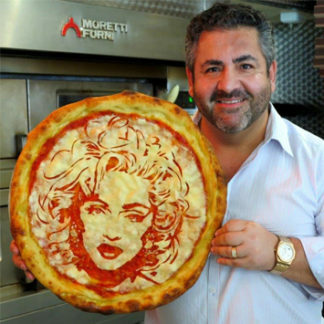 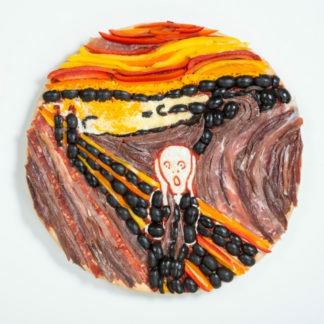 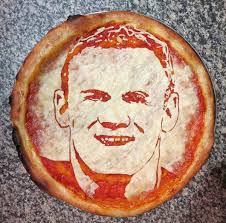 Crolla uses tomato sauce and mozzarella cheese to create intricate celebrity faces for his edible images. 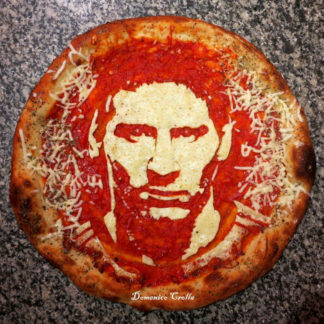 After making a pizza depicting martial arts star Bruce Lee, Crolla received a thank you note from lee’s daughter. 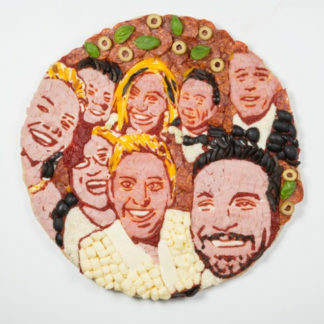 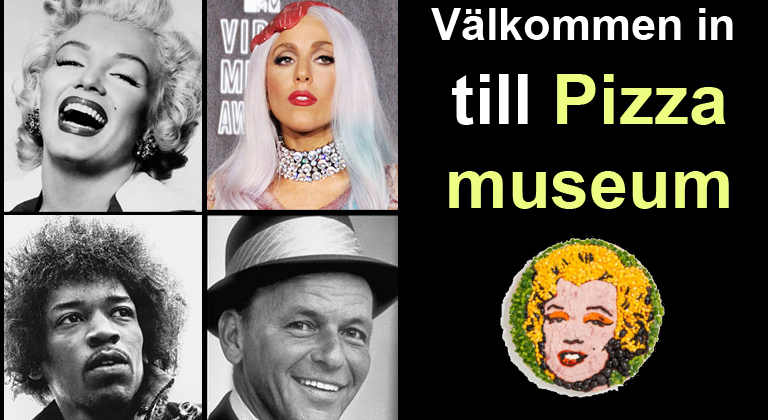 Further celebrity pizza portrait faces followed (try saying that quickly a number of times).